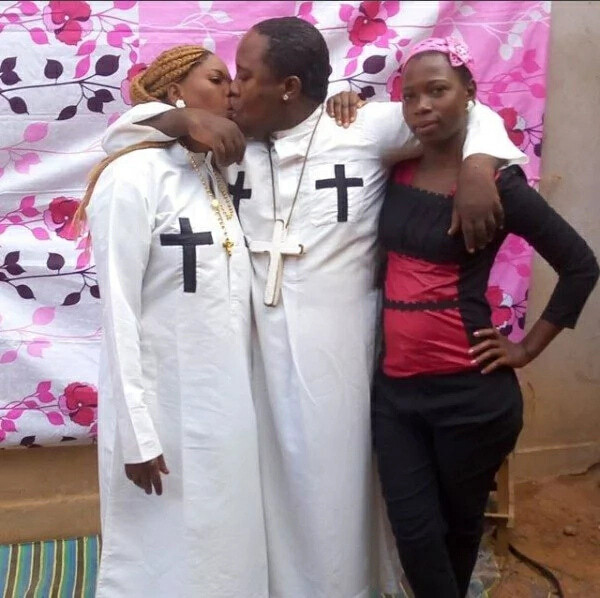 A Tanzanian prophet has been arrested after photos of him kissing his wife and their house maid found its way out to the public. 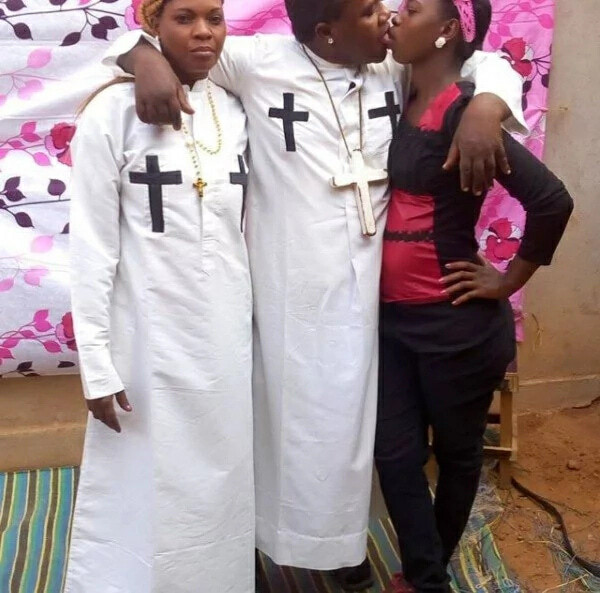 Nabii Tito was arrest after the photos surfaced on social media, a development that forced some groups of people to call for his immediate arrest. 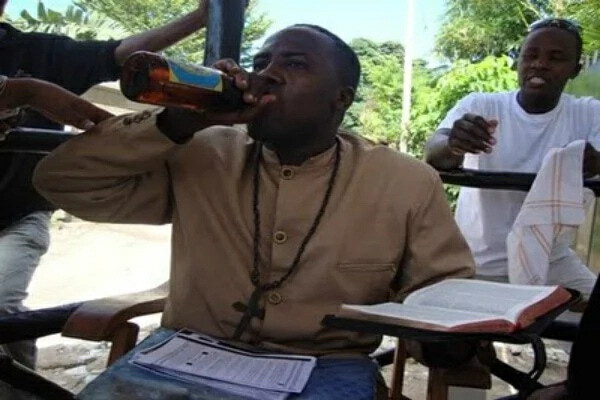 According to Tanzanian authorities, the prophet`s arrest is not only based on the leaked kissing photos but also because he was spotted drinking beer while preaching the word of God online as seen in the picture below. 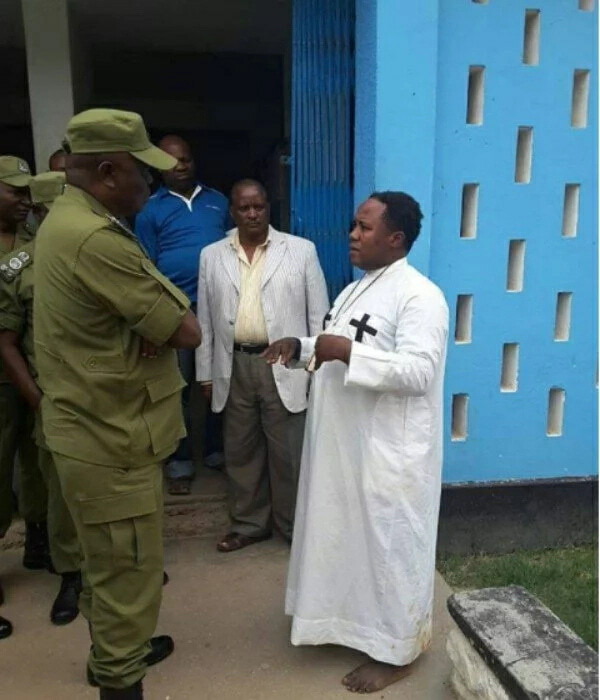 “We have arrested the prophet today in Dodoma over the unruly behaviours he has been involved in,” Inspector General Police, Simon Sirro commented. His arrest was fully praised by a number of people who were concerned by his behavior saying that the police have really done their job well.